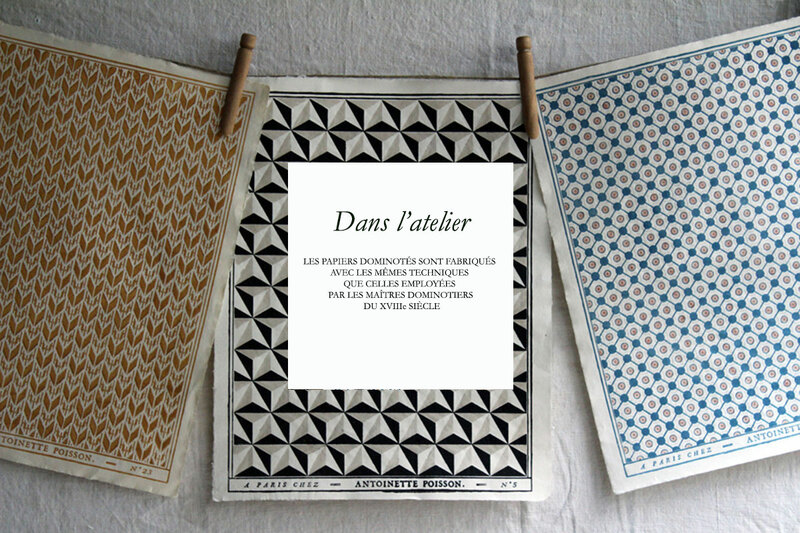 Following traditional 18th century techniques, Antoinette Poisson’s domino paper is printed and painted by hand, on a french handmade laid rag paper. Infinite variations of textures and colours characterize this unique craftsmanship. 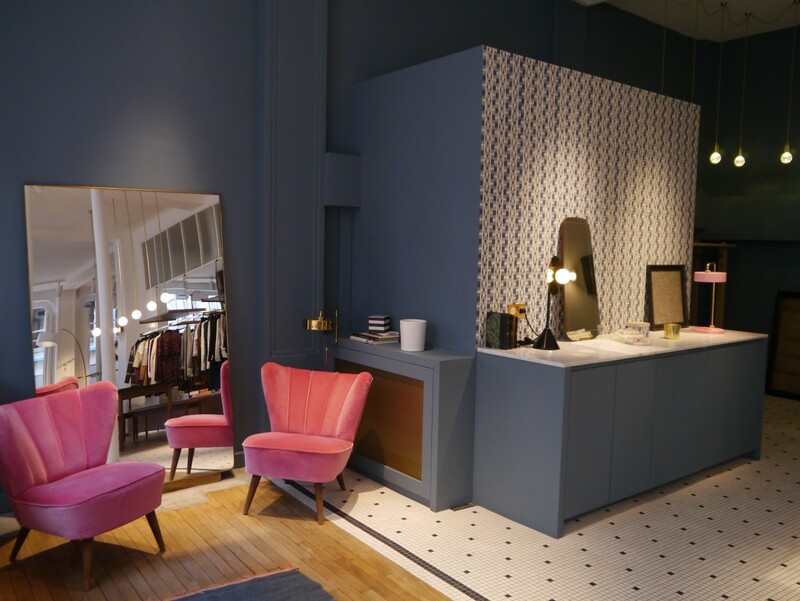 Outstanding wall decoration may be created by combining several sheets of domino paper. 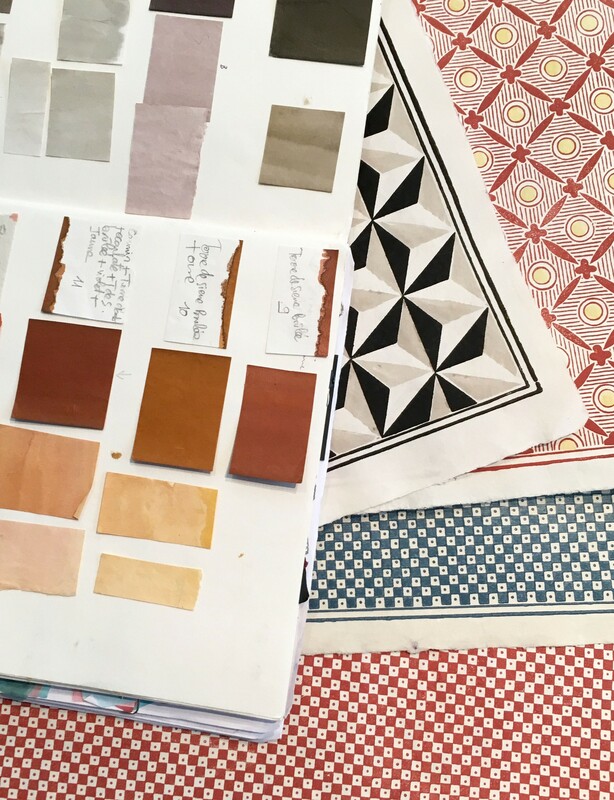 Antoinette Poisson offers a collection of paper and fabric, ornamental objects, based on both original designs and motifs inspired by documents and objects from historical archives. Best quality materials are used. 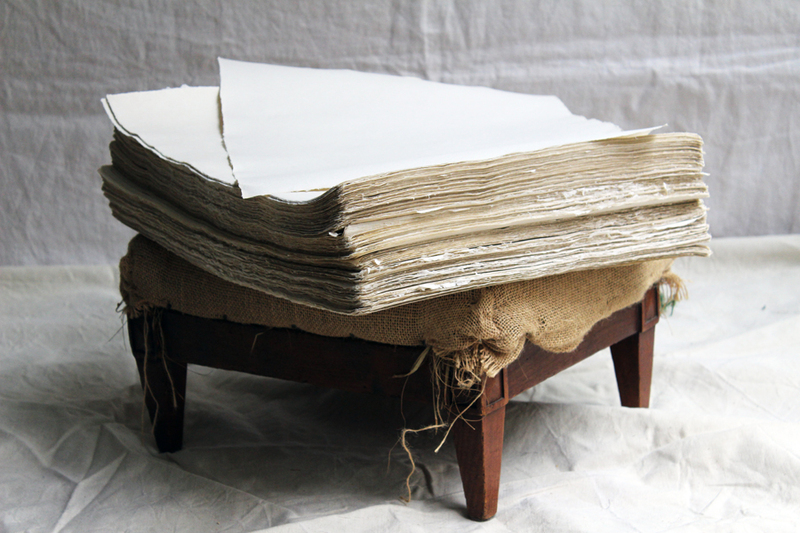 This beautiful laid rag paper is handmade in the french papermill, Moulin du Verger.